Severance Matters. Non-Compete Issues. Workplace Compliance. We represent clients subjected to illegal workplace discrimination, harassment, retaliatory action, and other unlawful work practices, and those who have been wrongfully terminated. When workplace disputes arise, we represent employees in seeking a fair resolution. We also represent employees in “whistleblower” actions and those exposing fraud against the federal government in False Claims Act / Qui Tam actions. We additionally provide representation in personal injury matters, and serve as mediators and arbitrators in a range of disputes. Through our neighborhood office, we serve clients in Seattle and throughout the Puget Sound market. We get to know our clients well so that we can help them identify their objectives and what path is the best for them. Our clients are honest and hardworking, most of whom who have never had to go to court before. They seek a fair outcome for their matter, and appropriate compensation for workplace violations. With decades of employment law and legal practice, our focus is on advancing the interests of clients down the path that is right for them. If resolutions acceptable to our clients cannot be achieved outside of court, we aggressively litigate against corporations – both large and small – in court. We have won numerous lawsuits and achieved favorable settlement agreements for clients against a wide range of Washington employers, including many of the largest Seattle-area companies. The outcome of employment litigation, divorce proceedings, and similar matters often depends upon creative problem-solving and skilled negotiation. We are mindful that clients typically want a fair resolution of their matter quickly, not prolonged litigation. Success will be different for each client based on their objectives. For our clients, success may mean fair compensation for an illegal or wrongful workplace action, corrective action in a whistleblowing case, or fair property division and parenting time in a divorce. With a concerted team approach, we develop strategies around your objectives, and provide you with experienced legal advice so that you can make the decisions that are right for your case or matter. In litigation, we endeavor to achieve client goals expeditiously through tenacious case development, discovery, negotiation, and mediation. If a fair settlement acceptable to you is not forthcoming, at your direction we will litigate vigorously at trial on your behalf. You are the captain – we work for you. Find out more. Call us today for a consultation and learn how to put our team to work for you. Illegal Discrimination and Harassment Come in Many Forms – All of Which Are Wrong. No one asks to be harassed or subjected to workplace discrimination. If you’ve been a victim, you may not know where to turn. You may feel powerless against your employer. You may feel anxious or reluctant about seeking legal help. When you retain our firm, powerless ends, and the path to seeking justice begins. You have fundamental state and federal workplace rights, including the right not to be harassed or discriminated against in violation of the law. Employers must comply with all workplace laws; they are not free to act however they wish. We represent individuals who have been harassed or subject to unlawful discrimination. We take on big corporations, municipalities, and organizations, and seek to hold them fully accountable. Click Here to find out more about your rights and how we help. Federal and state laws protect workers against unlawful termination and wrongful employment practices. Unfortunately, many businesses break these laws. Sometimes they act as though they are above the law. They are wrong. When employers break the law, they must be held accountable for their actions. With decades of experience in representing honest, hardworking individuals who have suffered from unlawful employment practices, we are tenacious in seeking fair compensation for our clients. We level the playing field against big corporations. Learn how we can help. Severance Matters. Non-Compete Issues. Workplace Compliance. Disability Accommodations. We represent employees in difficult workplace situations, and seek to obtain a fair resolution on their behalf. We also represent employees in contract matters such as severance agreements. Find out how we can help with your employment matter. We additionally provide proactive advice to companies concerning workplace compliance, with a focus on reducing employment litigation risk. With decades of experience in successfully representing plaintiffs in employment claims, we are particularly well-versed at identifying potential areas of risk. Learn how we help companies with compliance issues. Exposing fraud against the federal government and illegal corporate activities deserves praise, not retaliation. All too often those who expose these matters are subject to harassment and wrongful termination. We help protect clients against retaliatory action for whistleblowing activities, and assist them in pursuing claims under the Qui Tam statutes of the False Claims Act for exposing fraud against the United States government. In addition to damages against an employer for illegal conduct (such as wrongful termination), those exposing fraud against the United States are often eligible for compensation (often 15%-25% of the amount collected by the government against the wrongdoer). As an experienced attorney recognized by the employment bar, Seattle employment mediator and arbitrator Stephen Teller assists legal counsel in both employment and non-employment related mediation, and provides arbitration services to attorneys seeking a non-judicial resolution to litigation. Steve provides arbitration services in helping counsel and their clients seek a swift conclusion for their matter. Steve is on the arbitration panel for King, Pierce, and Snohomish Counties, and accepts cases involving personal injury, employment, and commercial litigation matters. Does Amazon Engage in Brutal and Dehumanizing Workplace Practices? 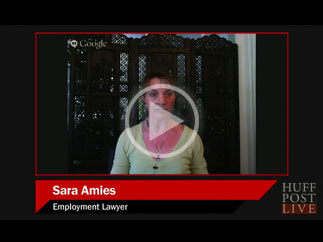 Watch Sara Amies' interview on Huffington Post and read her interview with the New York Times. 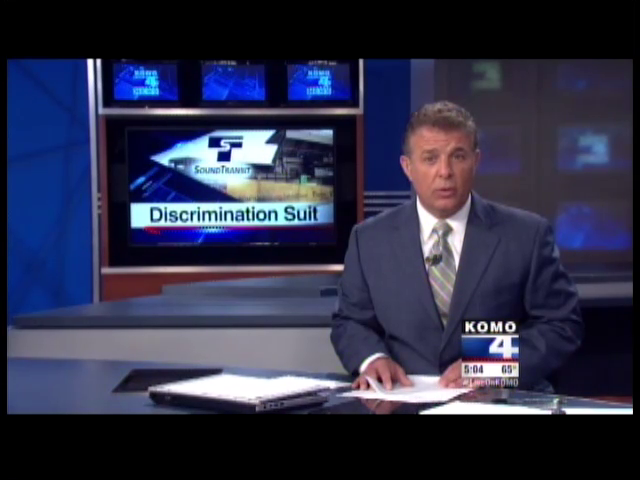 Steve Teller and client alleging racial discrimination and wage theft against Toyota of Kirkland and the O’Brien Autogroup, a Washington-based chain of car dealerships. Steve Teller and clients alleging racial discrimination against Traylor Brothers construction company on the Sound Transit UW Tunnel project.